I read this article and found it very interesting, thought it might be something for you. 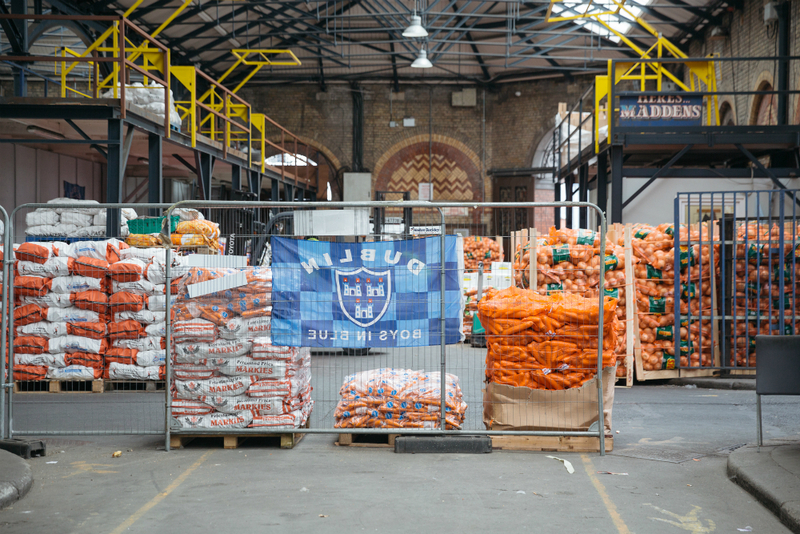 The article is called Market Forces: Dublin’s Fruit & Vegetable Market and is located at https://www.totallydublin.ie/more/market-forces-dublins-fruit-vegetable-market/. 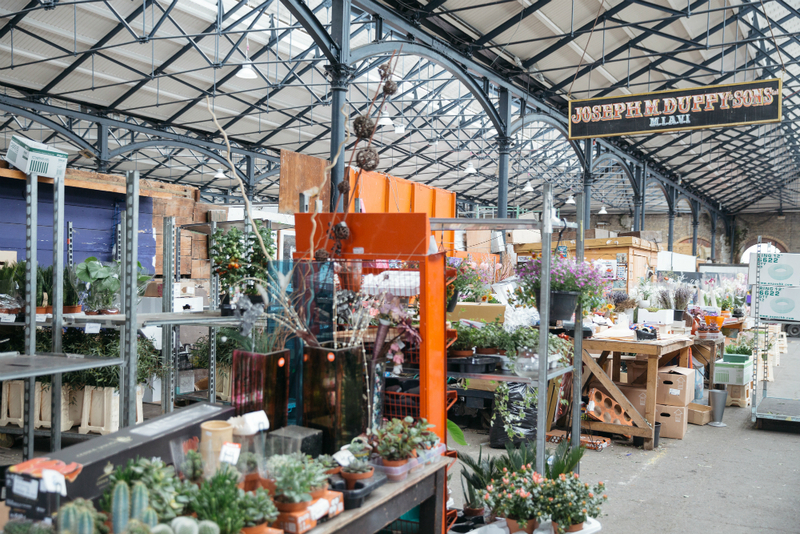 With a €3m refurbishment of Dublin’s Victorian Fruit & Vegetable Market being planned by Dublin City Council, we speak to people working inside and around the market to get their thoughts on the past, present and history of this landmark in Dublin’s food history and the city culture. If you’ve ever lived, worked or walked in the area between Capel Street and Smithfield, the notion of “forklift anxiety” might resonate with you. 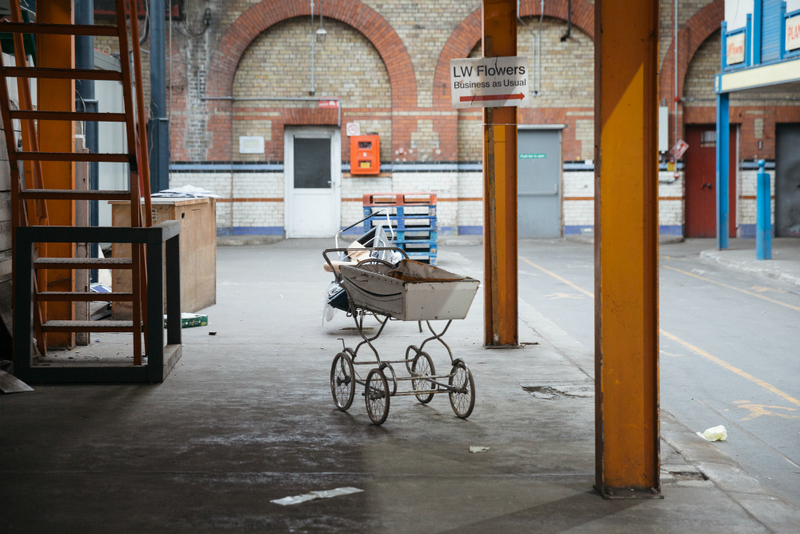 The forklifts, packed with palette-loads of wholesale sacks of spuds and giant bags of carrots, feel as much a part of this area of town as the building which they buzz in and around: Dublin’s Victorian fruit and vegetable market. 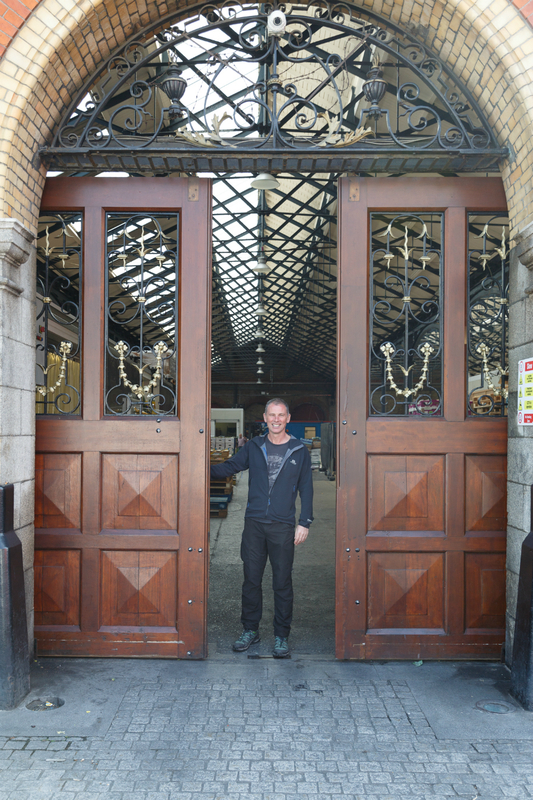 The Dublin Corporation, as it was known in the last century, opened the wholesale fruit and vegetable market in 1892. According to HistoryIreland.com, at that time markets such as The Ormonde Market were dotted around the growing city. Produce was sold in the streets off the back of horse and carts, and hygiene was seen to be an issue. 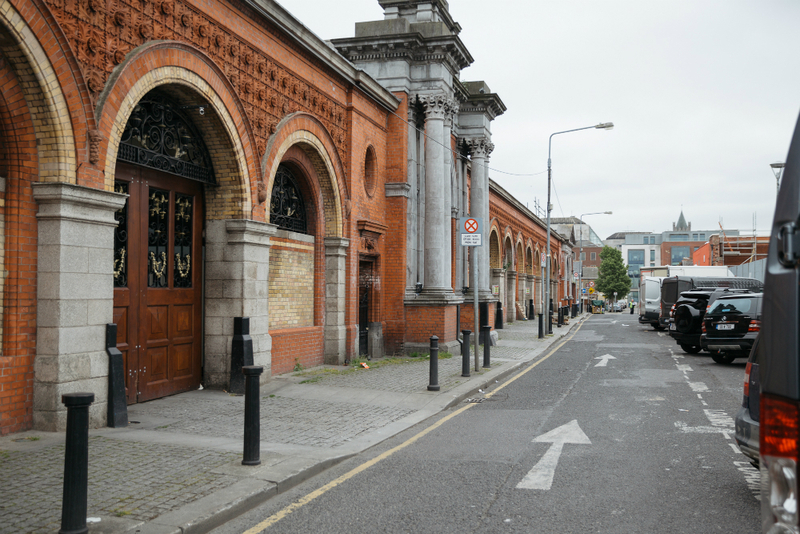 A centralised fruit and vegetable market owned by Dublin Corporation was largely about bringing traders under one large orderly and sanitary roof. Fast forward another fifty years, and the question remains — what is the future of the Victorian fruit and vegetable market? Last month, an Irish Times article by Olivia Kelly quoted the Dublin City Council assistant chief executive, Richard Shakespeare, as being confident that the Council would have vacant possession of the market by the end of the summer, so that the process of the €3 million refurbishment plan could commence. This particular plan is outlined in Part VIII of the proposal which is available online, and it’s a modest version of a much more elaborate plan which was floated before the crash in 2007. The more recent Part VIII was submitted in 2014, and permission was granted by local councillors in March 2015, according to Dublin City Council. The plan is two-phased; Phase 1 is to redevelop the Fish Market site, which was demolished in 2005, for a multi-use games area for the local community, off-street parking and loading for wholesale traders, and a small car park. The second phase is all about the redevelopment of the Wholesale Fruit Market to incorporate a retail food market in half of the building. The market traders I spoke to voiced similar concerns, and they had questions that they felt remained unanswered by DCC. 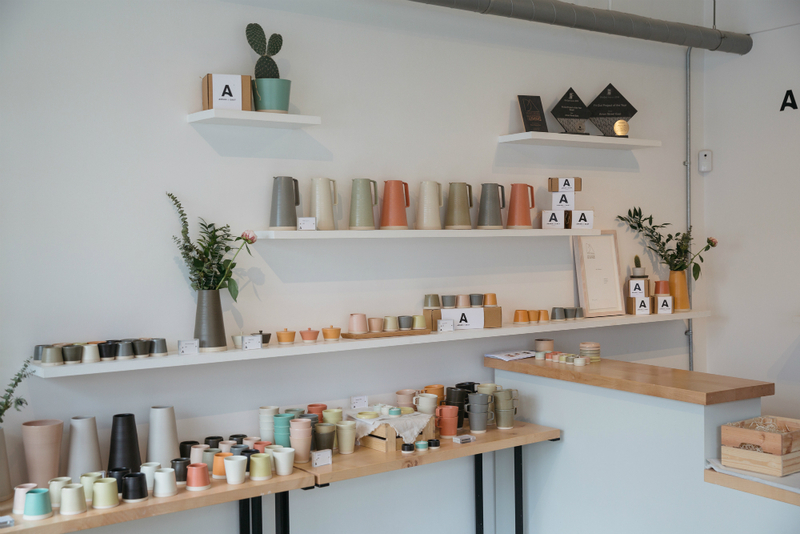 If they move out, even temporarily, how long will the redevelopments take and what impact would that have on their business and their employees? How long will they be away from the market stalls that, in many cases, their fathers or grandfathers founded? If they come back, will their rents be the same and therefore sustainable to their current business model? 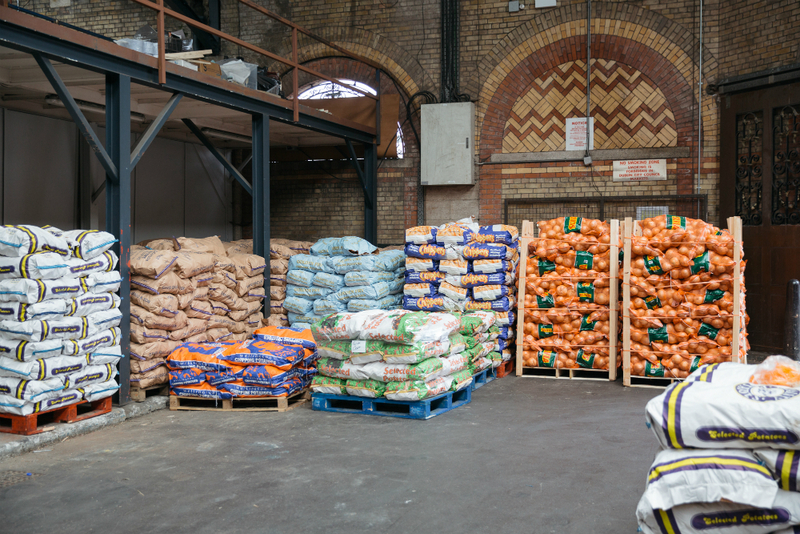 We spoke to people working inside and around the Dublin fruit and vegetable market to get their thoughts on the past, present and history of this landmark in Dublin’s food history and the city culture. “This market is in my bones,” Ciaran Butler tells me when we sit down to chat in his port-a-cabin office on the west side of the market. He’s been working here since he was 15 years old, straight out of school. At that time, in the early 80s, there wasn’t much work in Dublin so he was lucky to get a job working with his father in the family’s fruit and vegetable business. “It was a fantastic place back then, and a great place to work,” says Butler. “It was highly competitive because it was thriving but there was also a very strong camaraderie between the traders. It was a great upbringing in business.” He’s been working as a market trader for 32 years. Butler has a keen sense of the history of the market, going back a lot further than his father’s time. “Where we sit right now is the birthplace of the north side of Dublin,” he says, as he tells me about the Benedictine monks of Mary’s Abbey and Dublin’s history of markets, including the Royal Commission in 1856 which heralded the build of the current fruit and vegetable market. He talks me through black and white photographs on the wall of his office; in one, an auctioneer stands above the crowd, facing an enormous pile of cabbage, his chest out and mouth open in a shout designed to fill the halls with the latest price. Auctioneers would ring the bell and the prices would vary depending on supply, demand and quality, of course. Butler’s father had been involved in the famous strawberry auctions, one of the last goods to be auctioned within these walls. By the time Butler started, the auctions had pretty much finished up but prices were still determined by supply and demand. 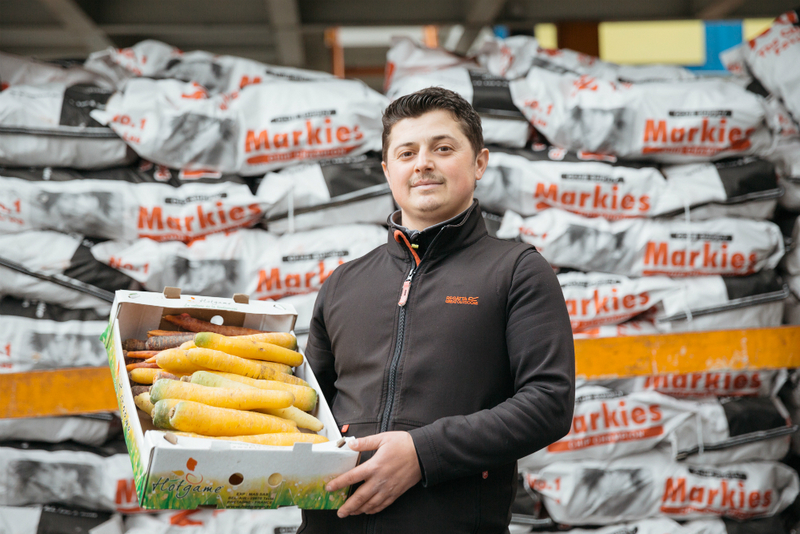 His business has evolved since then as the times have changed and the supermarkets have impacted smaller, independent shops through central distribution, pulling the draw out of the market in many ways. There is an emotional connection to the market building itself, says Butler. “It’s what we do. It’s our trade. It’s in our bones as market traders. This building is over 125 years old, and Dubliners have been trading in it for those 125 years. I have no doubt the market will continue – this structure will be here for another 125 years at least. You’d like it to stay within the family for generations to come – I look at the grounding I’ve had and the lessons I’ve learned. And the future of the market? “It’ll be interesting to see what happens with the market.” He makes the point that he thinks even tourists would like to see real Dublin people with all the “floral filthy language,” as he puts it, that comes with that, rather than tourist souvenir shops in the place of the traders. Joe Duffy’s grandfather and grandmother met in the market. His grandfather was an auctioneer and his grandmother was a buyer of flowers. They met at an auction in the early 1900s and the rest is history. 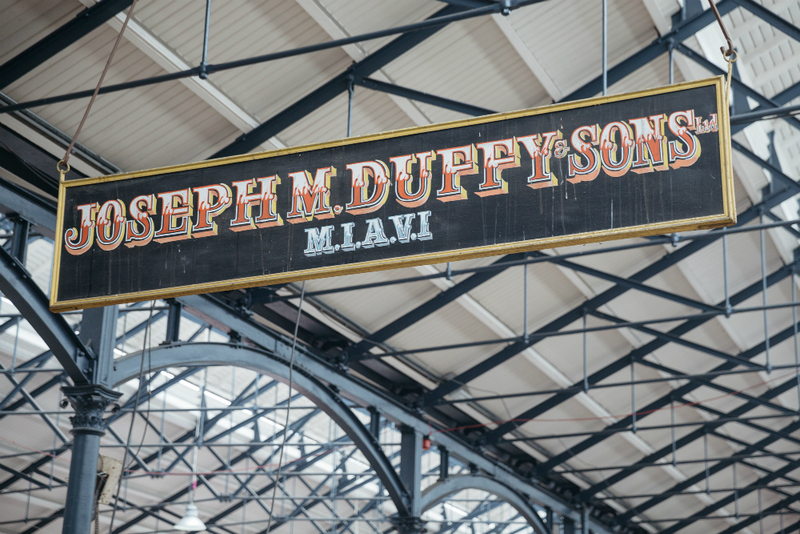 The Duffy’s have been connected to this Market since then, and Joseph Duffy Ltd has operated within these walls throughout three generations of the family. They started out selling fruit, vegetables and flowers, but gradually they focused on flowers only. 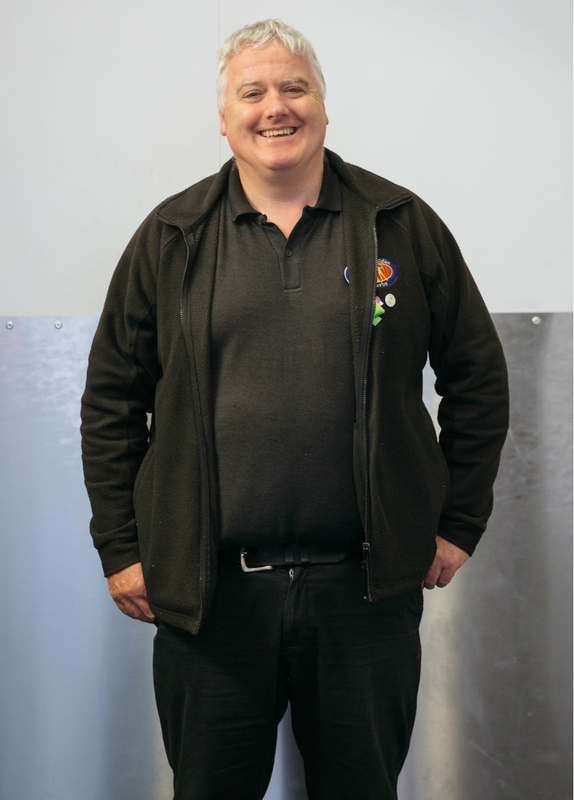 Duffy has been in the business for 43 years, working alongside his brother and Dad from the 1970s, and he’s been running the show for the last twelve years since his brother “retired” and joined the civil service. 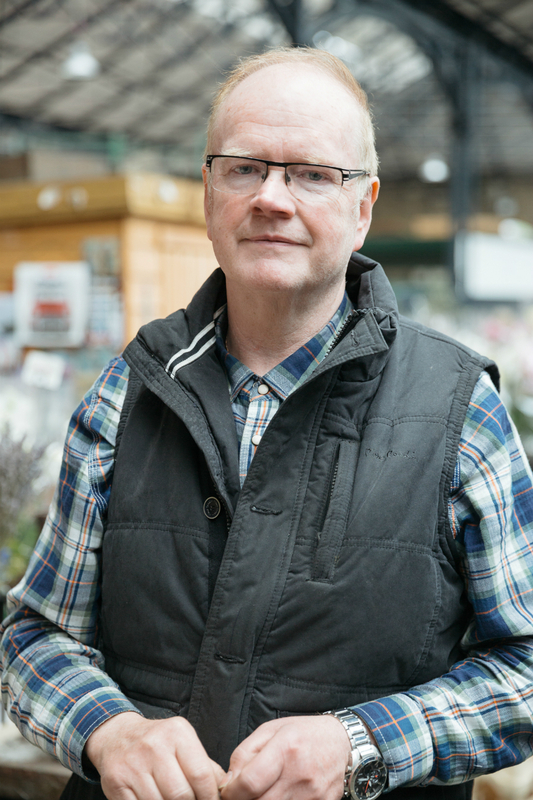 Duffy has been around to see different ideas and proposals of moving traders to different premises over the years, such as following the model of the Old and New Covent Garden Markets in London. He tells me that they seemed to get close a few times, such as the time when the M50 was being built and when EU grants were boosting transport connections throughout the city, but the right premises with the right transport links outside of the city centre apparently never presented itself to DCC. The streets surrounding the Victorian market continue to light up daily with palette-stacked forklifts, boxes of strawberries and order dockets being processed. Traders such as Sam Dennigan & Company, Donnelly’s and Lawlor’s, operate outside of this building on the streets that surround it. It’s my understanding that they have more autonomy over their premises, either through private ownership or rental, outside of Dublin City Council. In recent years, some of the large traders, such as Keelings, have moved all their operations outside of this area. There are growers here, too, such as Philip Jones at Garden of Eden Herbs on Arran Street East. Jones’ grandfather, Joseph Jones, founded the company as a vegetable trader in 1880. Jones would have brought his produce in from Rush to sell at the Victorian market from when it first opened in the late 1890s. It was Philip’s father, Jimmy, who decided to grow herbs alongside the existing trading business on their farm in Rush, County Dublin in 1972. “In the early 80s, we started growing herbs only and dropped all the other vegetables,” says Jones. “We do herbs, baby leaf (spinach and red chards), and micro-cresses.” They have land and glasshouses in Rush, and a farm in Co Meath. Jones tells me that theirs is the biggest glasshouse at the moment in Ireland, spanning over 11 acres. Their produce is a mix of their home-grown produce and imported goods to keep their supply blooming all year round. When the market thrives, so can a market café. The footfall isn’t there anymore. They shop in the market for veg for the cafe but what’s left is mainly wholesale. The people aren’t coming into the market like they did 20 year ago. Even 20 years ago, six days a week you’d get people in buying their fruit and veg. He points to the supermarkets for the decline. “I’m sure they’re fed up with people writing about them,” he says, when pointing to the supermarkets as a reason why market culture has begun to fade away or lose some of its vibrancy in this area. 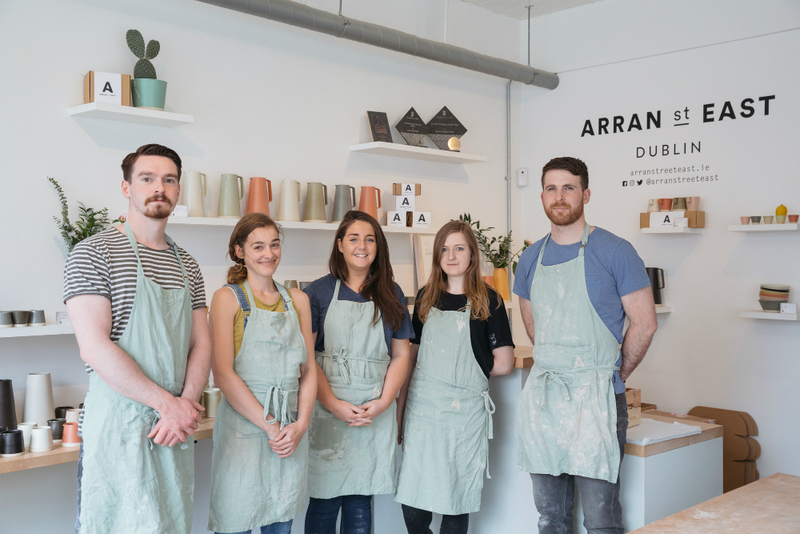 His main customers are still associated with the market, particularly freight drivers from the continent and customers from the nearby Four Courts. 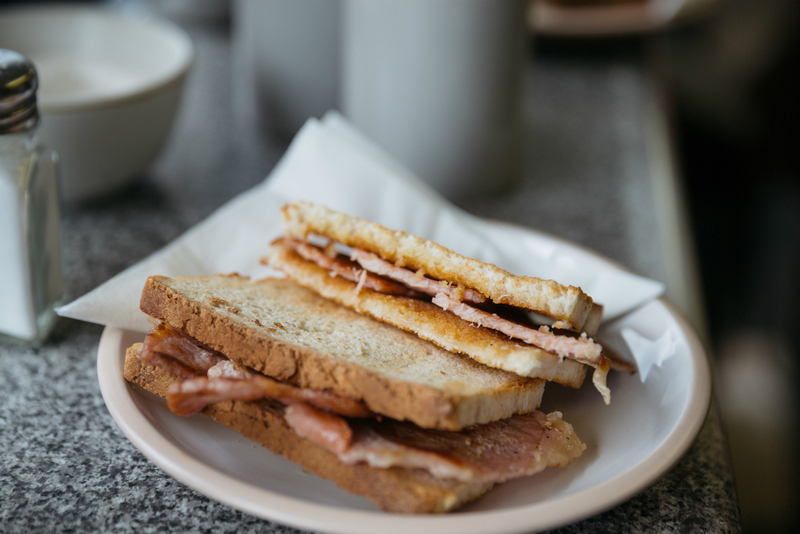 O’Brien has been around long enough to see some of his customers grow from being students in the primary school next door calling in for a bacon buttie, to being parents themselves dropping their own kids down to school. Their main seller is still their fry, which they do in small, medium or large. The café still gets their vegetables from market traders, though their main supplier for their meat and other ingredients are Cremona Foods. 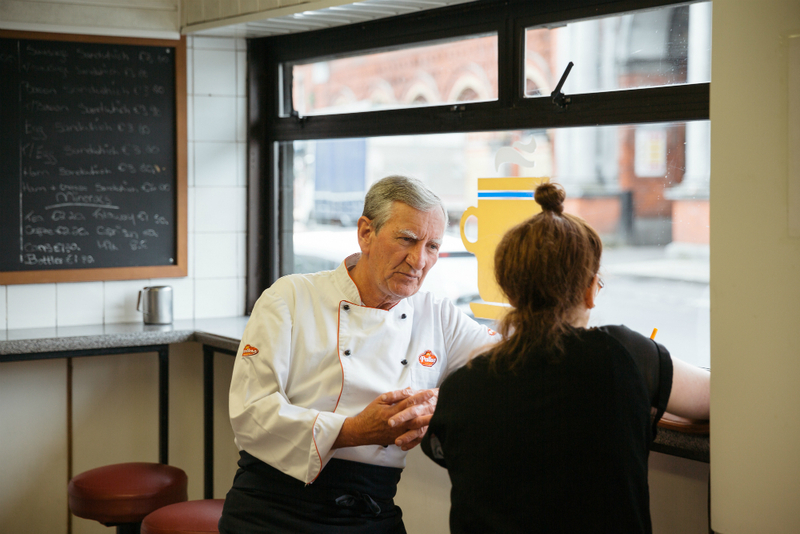 It’s a real-deal no-frills greasy spoon, as much a slice of Dublin’s history as the market itself. Their sausage sandwich, on batch bread and wrapped in some leftover Brennan’s loaf paper, is really very good. The cooked sausages are sliced and finished off on the hot plate grill to give them a tasty crispness. 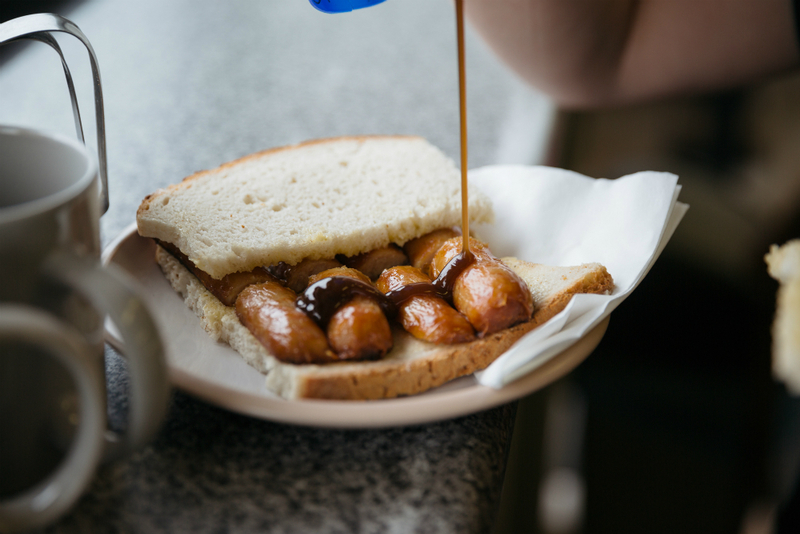 Squirt on some brown sauce – Chef, of course – and you’ve got yourself a little slice of early morning market heaven.